Although I made this particular cake as my gift for a colleague’s wedding, I have made smaller one-tier versions of this cake, without much in the way of elaborate decorations, on many an occasion. A case of when simplicity absolutely reigns! The sponge is a standard Victoria Sandwich, with the addition of finely grated lemon zest. The buttercream is flavoured with lemon curd, strawberry powder and Prosecco: a wonderful combinaton. To make a sponge wedding cake or any celebration cake without any stress, make the cakes ahead of time and freeze them until you want to fill and decorate them. I often make one tier first, freeze it, and make the other tiers at a later stage so that I don’t feel at all over-whelmed. The freezing also ensures you get crumb-free buttercream when you spread it over the cake. Don’t worry about freezing the cakes and any negative effects on them: I certainly cannot tell any difference whatsoever in the flavour or texture of a cake that has been frozen compared to one that has not been frozen. The cake and standard buttercream recipe are in this post: here, and the post has the proportions for whatever sized cake you want to make, along with many other cake making and decorating tips. For a hint of lemon flavour, add finely grated lemon zest to the Victoria Sponge: one large lemon for a 7″ cake. Orange and lime zest also work well. (1) You simply beat the butter, icing sugar and strawberry powder together until very soft for several minutes. Beat in the lemon curd and then the Prosecco a little at a time. (2) Add 50g of the white chocolate, and continue to beat well. The more you beat, the lighter and more mousse-like the buttercream will be. NB: I add a melted white chocolate to ensure stability, as the buttercream can split of you add too much liquid too quickly. Add more of the chocolate if the buttercream looks at all curdled: it will bring it back together beautifully. *You can use strawberry purée, but as with the Prosecco, beat it in a little at a time to prevent curdling, adding extra white chocolate if needed. I am in complete awe! 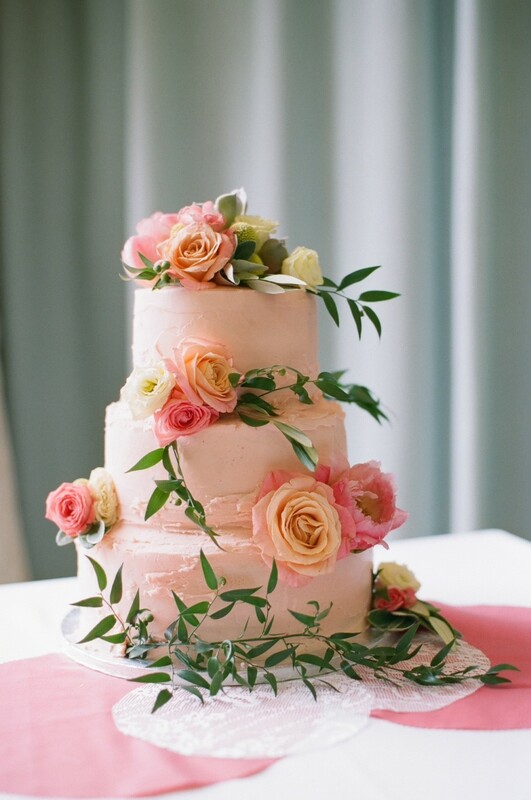 Gorgeous, elegant, definitely not over the top like so many wedding cakes I see…. oh your niece should take it as a second career. What a beautiful cake. I am very impressed with your icing and decorating skills. I’ll just have to keep practising! Thank you. To be honest this was an easy one to decorate, so well within my comfort zone! I absolutely agree with making cakes ahead of time and freezing them! Love the idea of adding prosecco to the buttercream! I definitely want to try that!